Saudi Arabia has said it would hit back at possible economic sanctions over the case of the missing journalist, Jamal Khashoggi, as European and US allies pilled pressure on the kingdom. "The Kingdom also affirms that if it receives any action, it will respond with greater action, and that the Kingdom's economy has an influential and vital role in the global economy..."
Khashoggi, who has written for the Washington Post and is a prominent critic of Riyadh, has been missing since Oct. 2 after entering the Saudi consulate in Istanbul. Turkey believes the journalist was deliberately killed in the consulate and his body removed, but Saudi rejects those claims. Saudi Arabia has been under pressure since the disappearance with French, German, and UK saying they were treating the case with “the utmost seriousness” on Sunday. 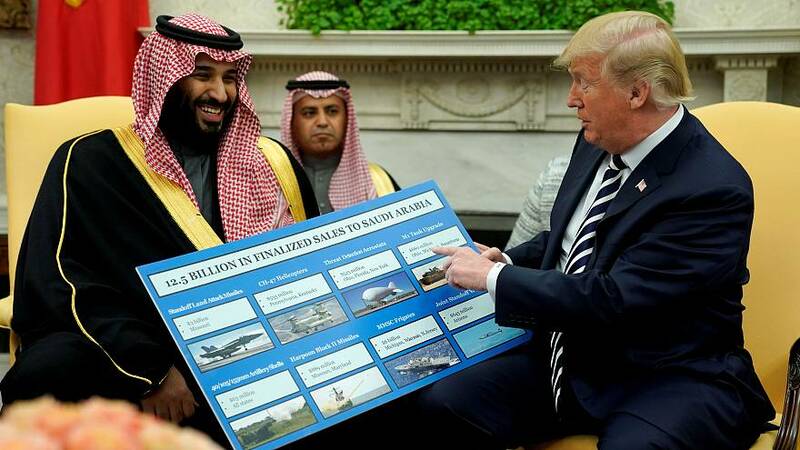 US president Donald Trump warned on Saturday of "severe punishment" for Saudi if it did murder Khashoggi. It is unclear what those punishments could be, but Trump said he did not want to harm US jobs by halting arms trade. On Sunday, Saudis stock exchange dropped by as much as 7% at one point before recovering some losses. It comes as one of the first signs of the economic pain that Riyadh could suffer over the suspected murder. The Saudi crown prince Mohammed bin Salman has been on a reform drive to diversify the country's economy from oil. Foreign capital is key to those plans. However, the Khashoggi affair has caused technology executives and the media, including the Financial Times, Bloomberg, and CNN, to pull out of an investment summit in Riyadh scheduled for next week.